Authors: Paul Newman and A. E. Hotchner; Format: Hardcover; ISBN: 0684848325; Release Date: 1998; Publisher: Simon & Schuster; Length: 222 pages. Condition: Very Good. Jacket has crease on back, and inside corner of front flap is clipped. Jacket is still in overall nice shape, cover looks great, binding is strong, and pages are unmarked. Same cover design as that shown here. 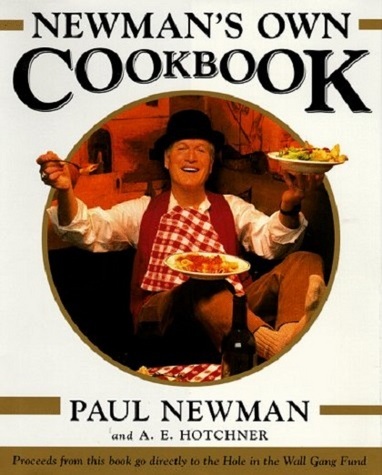 Recipes for foods from Paul Newman's family and celebrity friends accompanied with anecdotes. Payment is expected within two weeks of placing your order for the first item within a shipment. Orders typically ship within 48 hours of PROCESSED payment, excluding weekends and holidays.